SpotAngels shows a crowdsourced map of all street parking spots and parking garages, with detailed rules and prices kept up-to-date by our community. It also shows where you're likely to find street parking based on where drivers of the community previously parked. 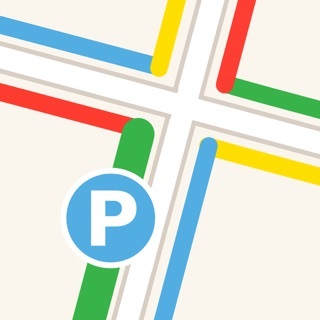 Search and filter the map in 1 tap to find free parking and save money! SpotAngels shows you all the deals on parking garages so you can save money when you can't park for free. You'll also be able to book parking if you want to through our partner websites. See where to park to avoid street cleaning or alternate side parking. SpotAngels also supports residential parking permits in cities where they apply. SpotAngels automatically remembers your parking location using your car’s Bluetooth or phone sensors. It then sends you notifications when it’s time to move your car for street cleaning or any other street parking rule. Drivers in the SpotAngels community can add or edit parking rules at any time by simply sending a picture of a parking sign. They can also report open spots for other drivers of the community. Start crowdsourcing to put your city on the map! We’re here to help at support@spotangels.com if you have any questions. This is the BEST parking management app out there, not only because it’s the only one but because it has everything you need. - I love that the map displays general parking info when you move over it (i.e., free parking, hour limits, parking costs, etc), which makes it easy to plan ahead (or determine whether or not it’s cheaper to just Lyft) when I’m going to an unfamiliar area. This has literally everything anyone needs to own a car and avoid tickets while living in a city. My only suggestions would be to streamline the settings/menu portion of the UI a little more and that sometimes the push notifications don’t work (though it’s so easy to just open the app and see when I need to leave, it’s not a huge deal). I also think it’d be cool if they added an iOS widget. Thank you so much for your kind words. This means a lot to us! This is by far the most advanced and easy ui street parking app and works wonders here in nyc the street times and holidays opposite side parking reminders are helpful when heading out the house. One thing I’ve noticed since the big update is that my parking spot has not been able to pick up when i actually move my car to a different location and occasionally i forget what street i left my car on and look to the app to find out it’s still has the location for the last spot i was in. Furthermore the alert that a driver has moved from a location is a smart idea but honestly lacks because not a lot of people actually use it. Maybe if it was automatic and not something you had to manually alert more people would be finding it useful other then this it’s a great app keep up the work. Thank you so much, James, for your kind words and feedback. We're actively working on improving the parking detection and you should see massive improvements on the upcoming updates of the app. For the open spots, we already report open spots automatically when the parking detection is active. Most open spots you see on the map were actually added automatically. But you're absolutely right, this is far from being clear on the map and we'll be releasing an update to the app to explain this better. I thought I finally found it! ... but then, I used it. ALL THE ALTERNATE SIDE STREET PARKING STREETS ARE MARKED THE SAME... GREEN. • the ability to see alternate side parking dates is “hidden” under filters (I think). If I plug in a date I want to find parking, only green lines show where parking is available. So, if it’s Monday morning, and I want to find parking the whole day, this app is o.., but not very intuitive for finding street parking that’s not going to give me a ticket on a Monday. Do I keep the following comment: C’mon, you couldn’t use green for Monday/Thursday, and orange for Tuesday/Friday? Someone thought that I did all this work to see where there is some form of alternate side parking... vs. Pay For Street Parking? Recommendation: the default should be for today, at this time, using two different colors for the days parking is free. (Who plans on looking for Street the day in advance?) The default should show where parking is available right now, and filter should enable setting the time for later, or tomorrow, or some time in the future. If you update the app to do this, it would be a 5-star, and I’d even pay for it. Hi there, thank you for your feedback and we're sorry for your bad experience. It seems that you haven't tried our filter feature. It's at the extreme right of the search bar! The filter feature lets you search for parking at a future date and for a specific duration. Exactly like what you described! You can also filter the map based on your willingness to pay for parking. Was the feature not intuitive for you? As for the colors, did you expect a color code for each restriction per day? Please reach out to us at support@spotangels.com. We'd love to discuss your feedback in detail so we can make the experience better for you! We're always listening to our users and their satisfaction is our reward.